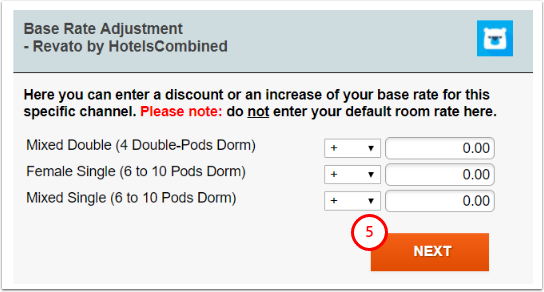 Revato by HotelsCombined is the gateway to a global audience of over 30 million users searching for accommodation every month. With a single connection your property will be featured on over 9,000 partner sites. Before connection to Revato, you need to create an account with the channel. To get started with account creation, please visit https://www.revato.com/ContactUs and fill out the form. A Revato representative will reach out as soon as possible. For more information on the channel, please visit https://www.revato.com. Go to signup link: https://www.revato.com/SignUp and select myallocator as your channel manager. Once signup is complete, the property is put into a queue to be reviewed by Revato. After review, Revato will enable the connection and send an email to the the property as well as to myallocator support team to finalize the channel activation on myallocator side. The property must request (via your Revato Account Manager or via support@revato.com) to make myallocator your desired Channel Manager (If you are switching from another channel manager to myallocator, Revato will disconnect the property from the previous channel manager). Once Revato switches you to myallocator on their end, they will email myallocator support team to enable the connection on myallocator side. Once you request the Revato team to make myallocator your channel manager, Revato will send an email to our Support team as well, to enable connection on our end. Once this is done - you will receive an email, notifying you that Revato is ready for mapping. 2. 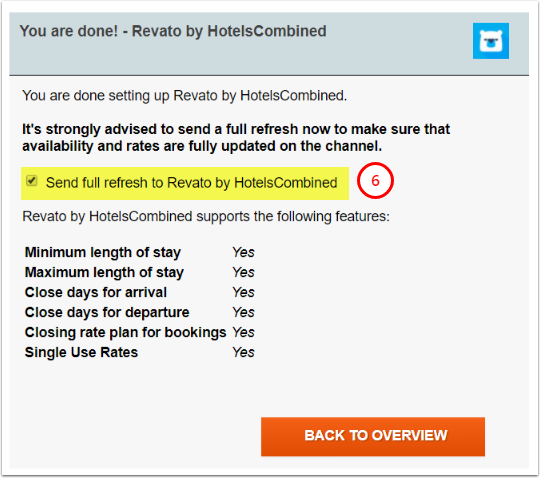 If you have correctly completed first 2 steps - Revato by HotelsCombined will already be on your channels list in status 'Ready for mapping'. Click on 'Ready for mapping' to proceed to mapping. 4. 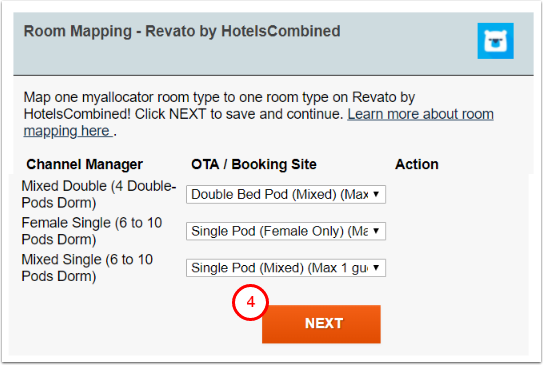 Select the Revato rooms from the dropdown so they correspond to myallocator rooms and click NEXT when completed.